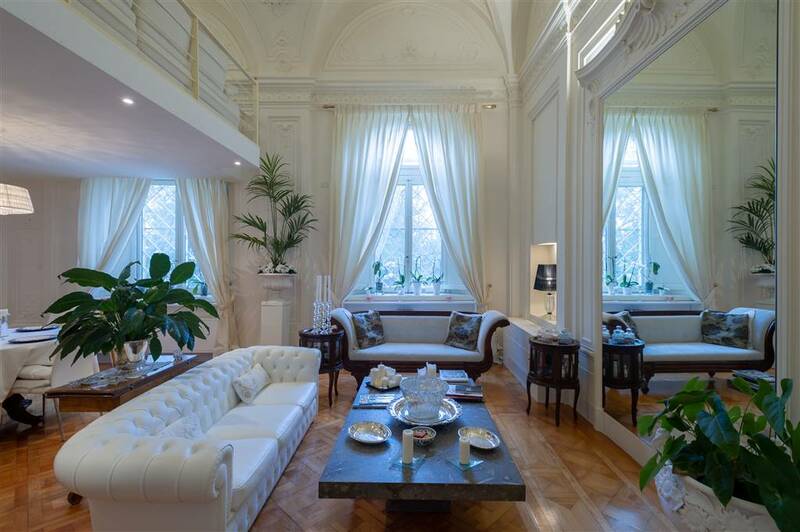 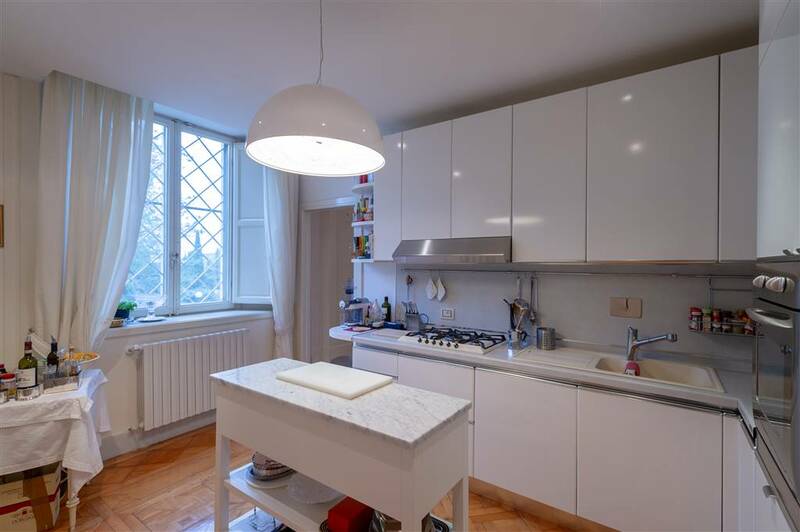 This prestigious 195 square metres loft apartment is located within a XVth century villa nestled in the hills surrounding Florence with a breathtaking view of Fiesole and is surrounded by a large park of approximately three hectares. 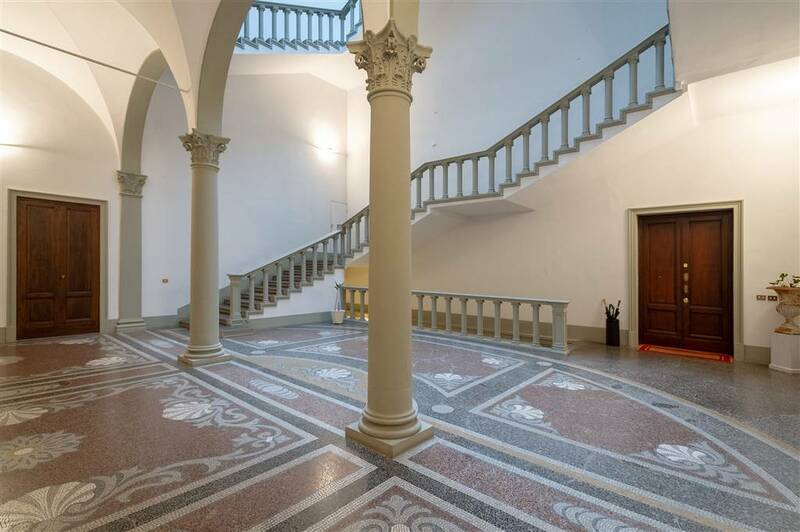 The villa’s entrance that leads to the apartment is absolutely astonishing. 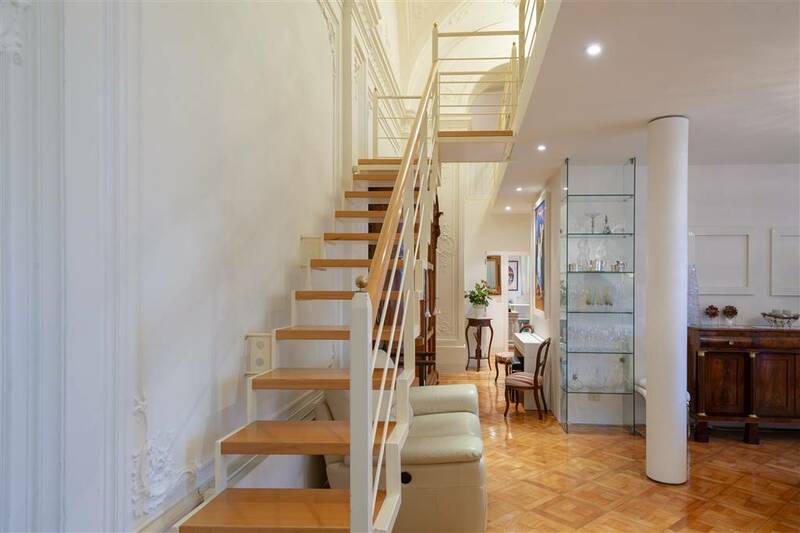 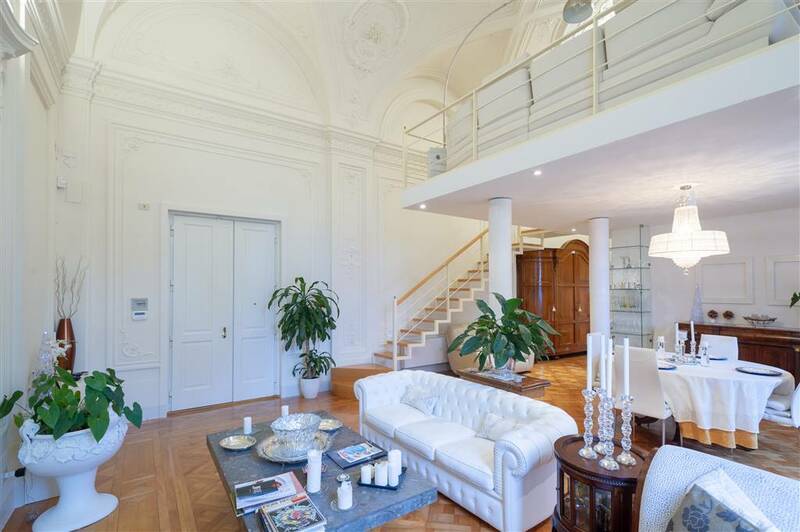 The property represents a perfect mix between modern and past architecture. 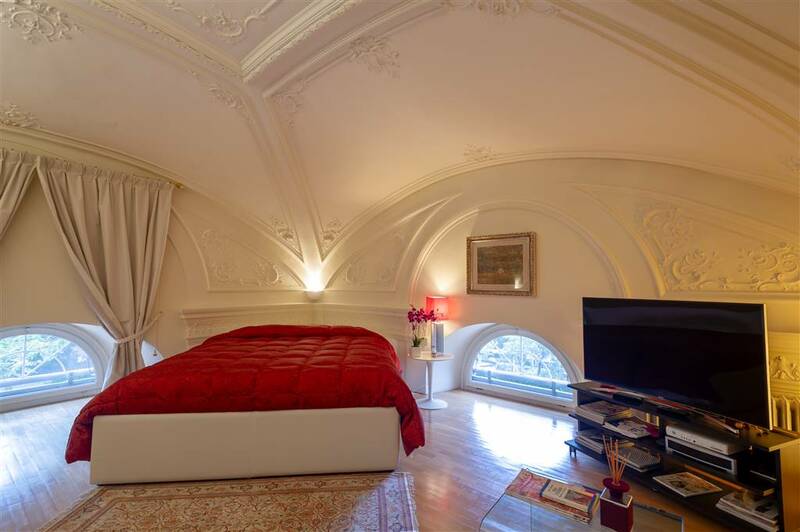 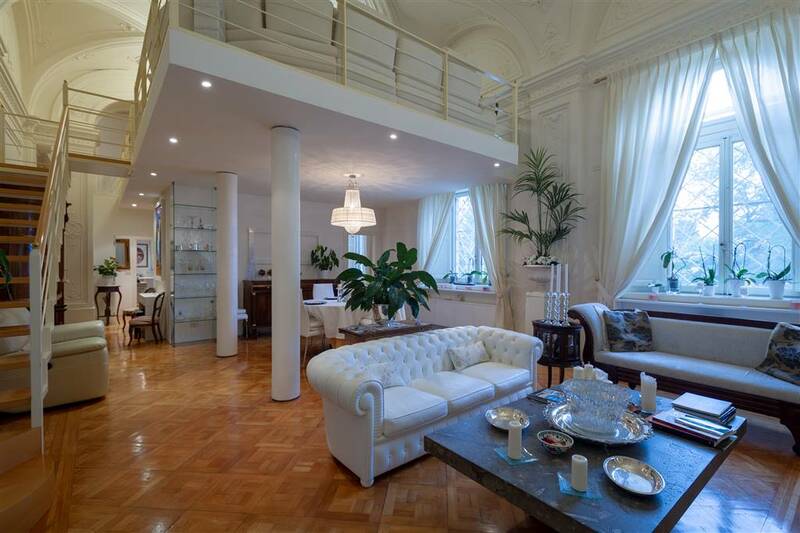 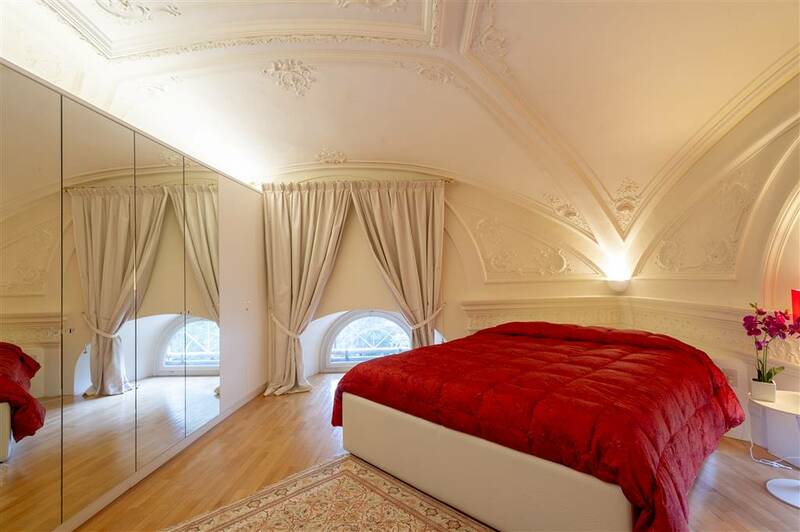 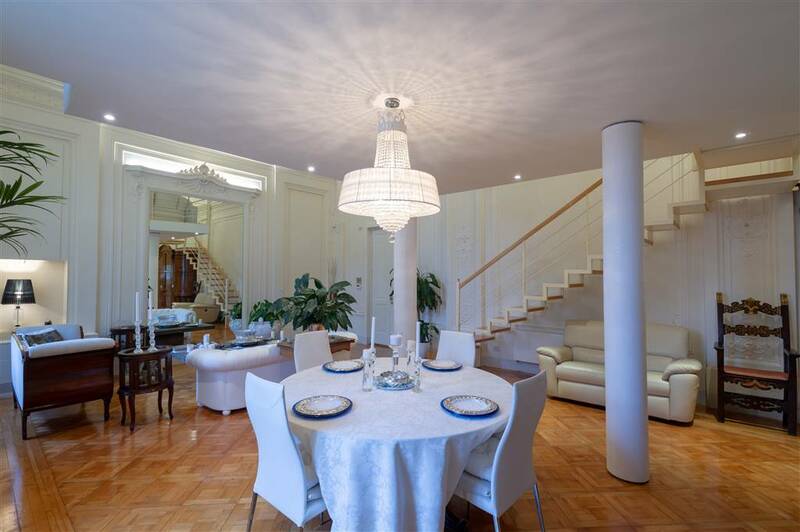 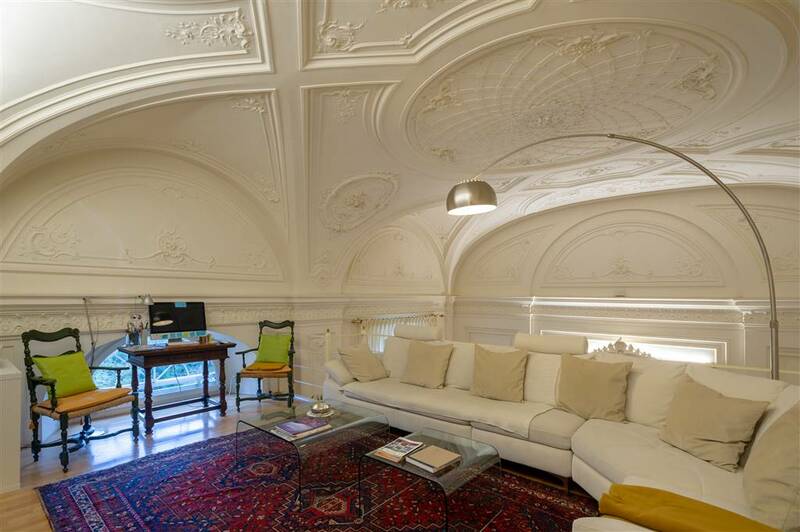 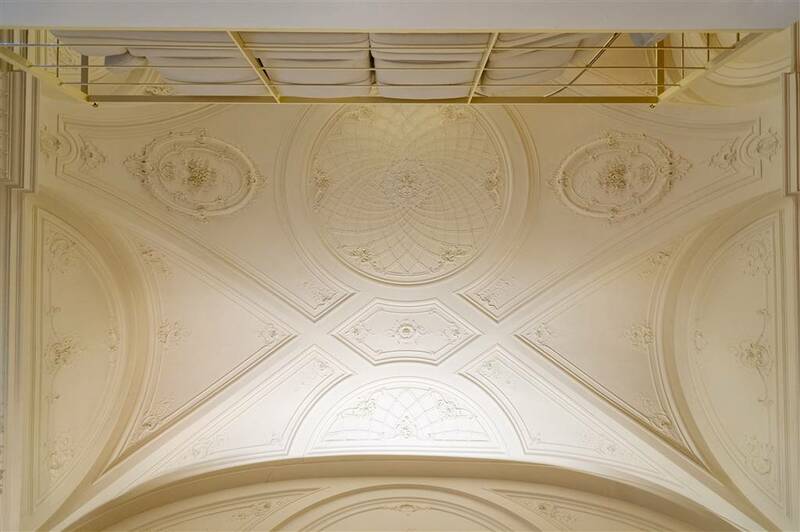 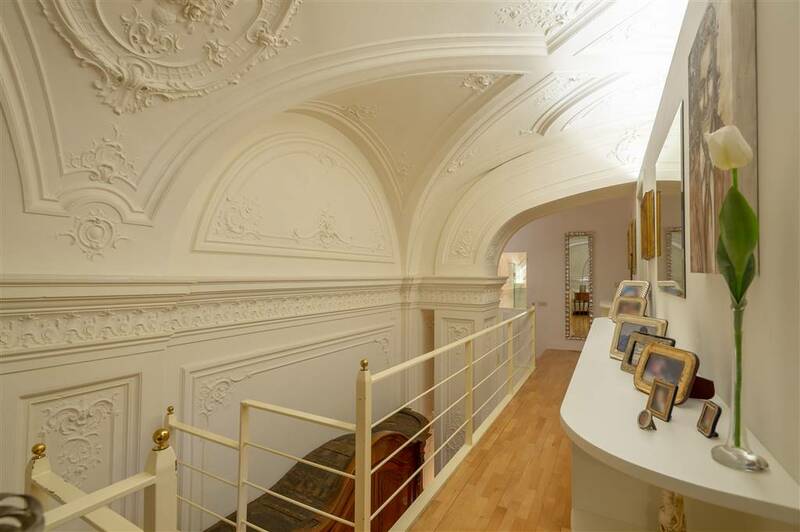 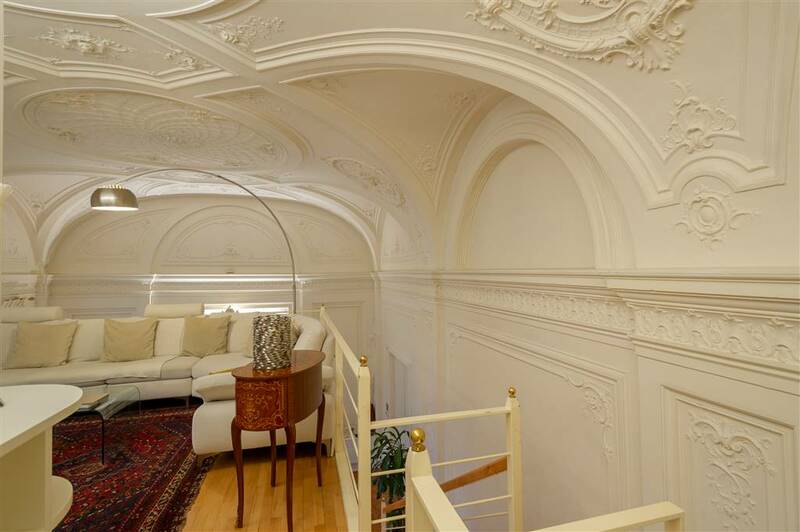 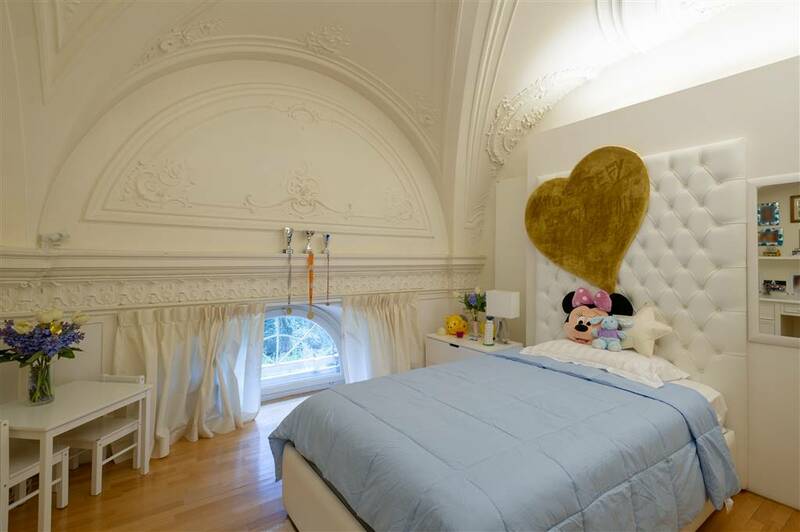 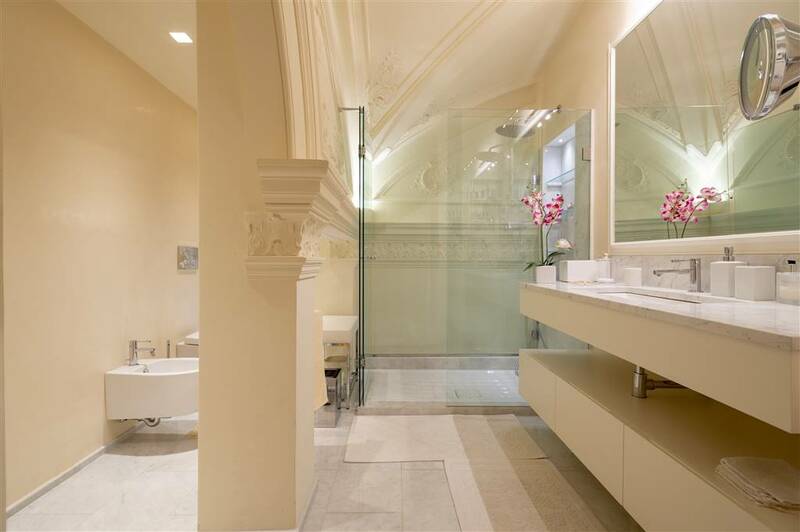 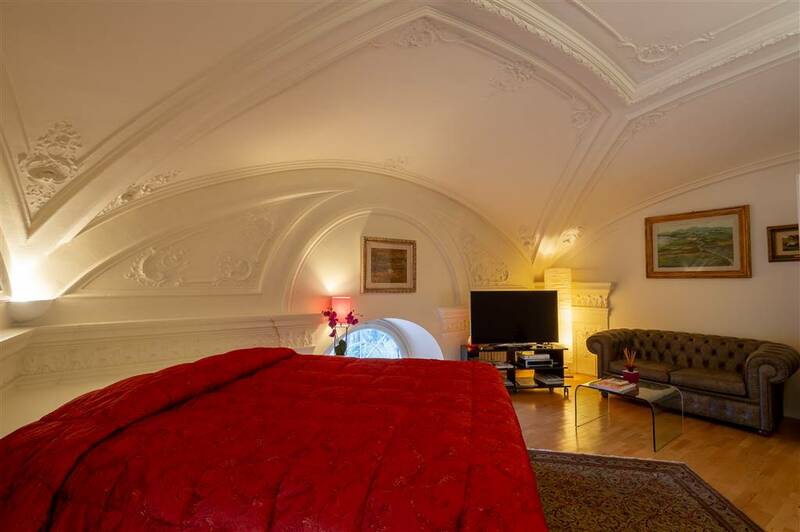 Upon entering, you will realize that this property is truely unique with its very high ceilings richly and finely decorated with the original XIXth century stuccos by the architect Giuseppe Poggi. 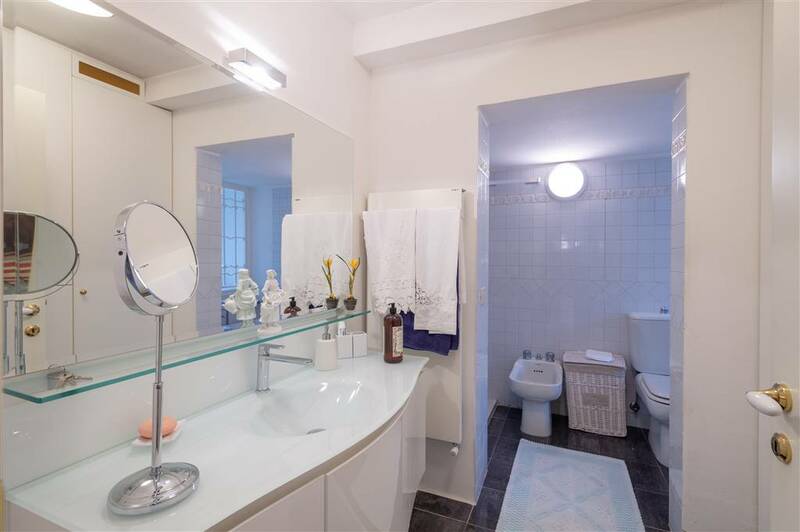 The ground floor has a large sitting/dining area, a modern kitchen, a spacious double bedroom with its own bathroom and another smaller guests’ bathroom. 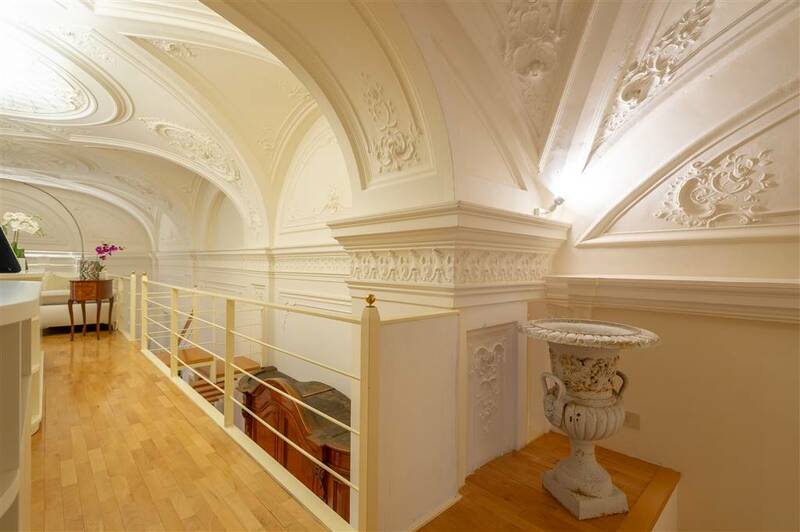 The apartment has an upstairs overhead loft area that is partially open to, and overlooks, the main living space. 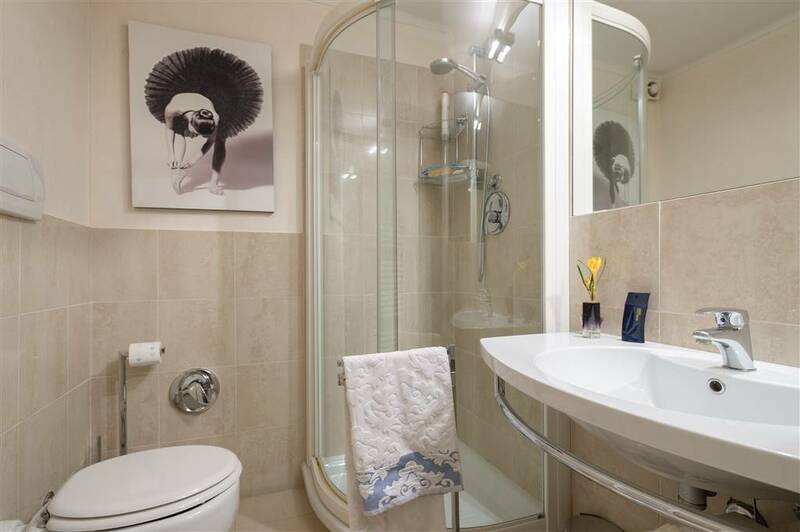 The upper level has a spacious sitting/TV room, a large double bedroom, a single bedroom and a very large bathroom with a big glass shower. 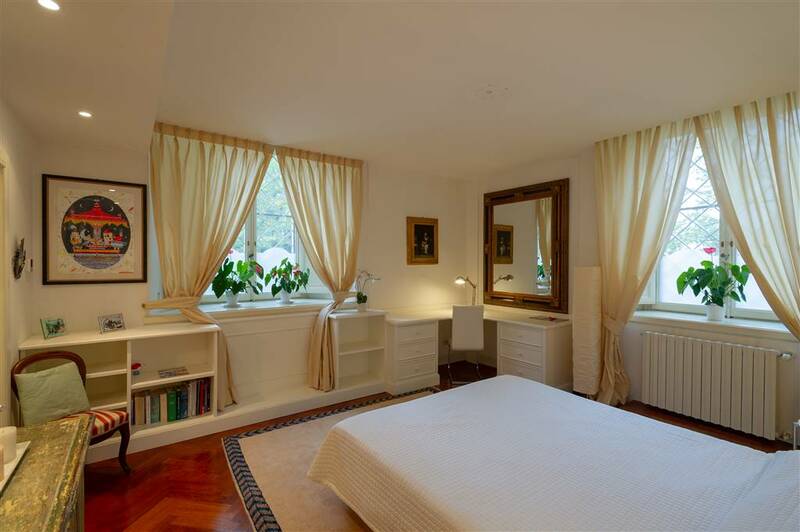 The property includes a 70 square metres private parking area.